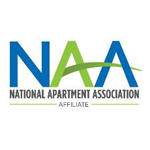 Grassroots advocacy is a powerful opportunity to advance the interests of multifamily housing. Washington lawmakers make important decisions that affect the way in which you operate your multifamily property. Our most powerful tool is your grassroots advocacy - contacting your legislators to share your expertise on multifamily housing. Grassroots advocacy is an easy, powerful way to advocate for our industry and multifamily housing in general. Legislators rely on you, multifamily managers and operators, to lend your voice to the public discourse on these issues.